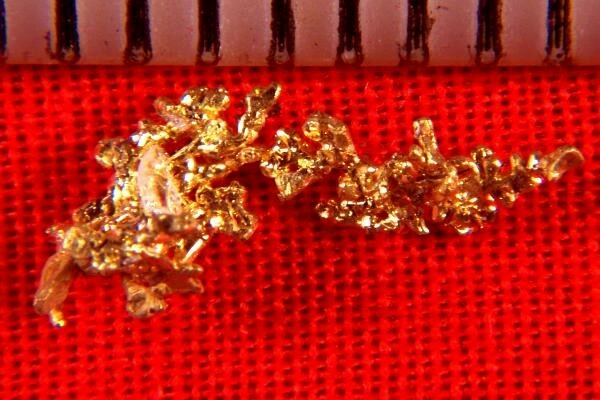 From Jamestown in the heart of the California Gold Country, this incredible crystallized gold nugget from the Harvard Mine is 1/2" (12 mm) long and the weight is 4.0 Grains (0.26 Gram). The mass of tiny gold crystals sparkles under the light. It has a very unique shape and fantastic color. 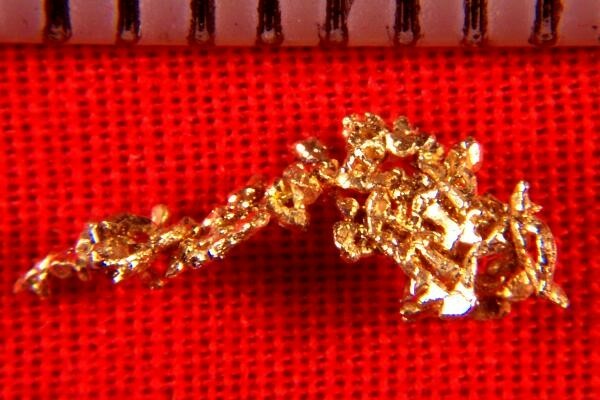 A truly amazing crystalline gold nugget specimen.